Agatha Christie hidden object games to play on your computer are fun and entertaining. Here are my 4 favorite games. If you enjoy hidden object games, you'll love them too. Are you one of the many Agatha Christie's admirers? Do you love to watch the TV series based on her novels, which spotlight her always popular fictional heroes? Then chances are that you are going to enjoy playing with Agatha Christie PC games based on hidden object clues. These entertaining video games come in different versions and all include stunning graphics. One of these games is a Miss Marple investigation known as "4:50 from Paddington". 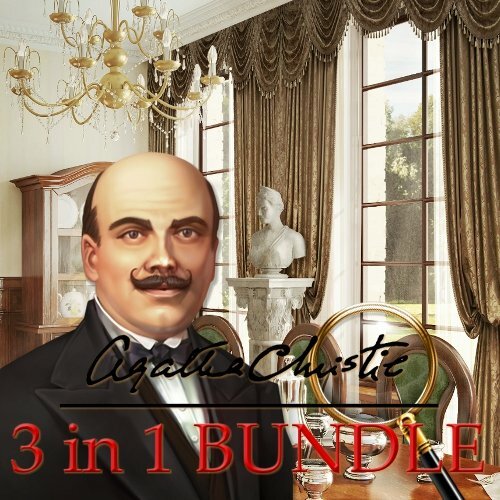 Why Do I Like Agatha Christie PC Games? I myself bought these games back in 2010 and have to say that I’ve never stopped playing with them since then. Here are some of the reasons why I love Agatha Christie hidden object games and play them over and over again. The games auto-save, so you can stop playing whenever you wish to without losing your earned levels. Let’s take a look at each game. My favorite of the Agatha Christie hidden object games is this one. In this game you have to solve the murder of Lynnette Doyle a rich American young woman who just got married to her best friend’s ex fiance. The murder happens on a cruise on the Nile and Poirot is asked to investigate this case. The game provides you with a boat map that can be checked each time you need to. You’re also provided a timer that you can pause whenever you need to. The timer is convenient especially if you have hard time finding some objects – pause the game and spend some time studying the graphic and guessing the item location without having to lose any of your 5 bonus tips. In this game the bonus tips are limited to 5 only per level, there’s no additonal tip even if you very quickly find items. This makes it more challenging. The musical background has an oriental touch that is quiet and sets the Egyptian mood of the story. This game also has a help section that will allow you to better understand what you are supposed to do. Each level starts with a chaper of Christie’s related novel. I suggest to not skip this part when you play the first time: it is really helpful. Do you need Dead on the Nile Hidden Object clues? Second in our Agatha Christie hidden object games is this mystery: Peril at End House. Poirot and Captain Hastings are on holidays in a Cornish holiday resort. They meet a young lady named Nick Buckley who is owner of End House, a magnificent old house located in this resort. Nick is in danger, she overcame being murdered several times and Poirot decides to investigate this case. He and Hastings will meet Nick’s wealthy friends, her Australian neighbors, her cousin Magdala, learn about her love story with a squadronleader. Suddenly, Nick’s cousin Magdala is murdered. In this game you’re provided with an evidence room as well as a clue room. The games starts with the beginning of the book plot: it comes in the form of comic strips. You’ll learn what Poirot and his friends are doing there, how they met Nick Buckley and how they discovered her life was endangered. Carefully read the story and then you will be provided a map on which you’ll get places that you’re going to investigate. The first two places are the Majestic Hotel’s garden and the hall. In each spot you’ll have to find hidden objects. Once the first level finished, you’ll be prompted to the second one where more spots will be available. There is a timer and a pause option. I have to say that Peril at End House computer game is quite short in comparision with the two others but it’s a really delightful one. Here’s a walkthrough video for Peril at End House. Buy This PC Game And Have Fun! 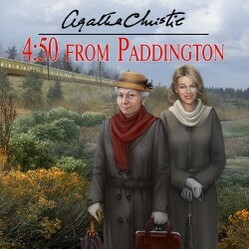 The last one of this series of Agatha Christie hidden object games is based on the book of the same name. It’s the longest of the three games that are included in this set. The Dead Man’s Folly tells the story of Mrs Oliver, a popular author, friend with Poirot who is asked to write the plot of a murder party. However, Mrs Oliver doesn’t feel good vibes in Nasse House where the party is going to be held. She thus asks Poirot to come and find out what is going on in this house where all characters, from the owners, George Stubbs and his young wife, to Amy Folliat, the former Nasse House owner. Alas, several murders will happen during the fete and Poirot and Mrs Oliver will be challenged to find the truth. The game begins with the same comic strip as the two others. However there’s a sligh change in this one: you can get more tips by clicking on the right hidden objects faster. The quicker you find items, the more you’ll get tips. This can come in handy for harder areas in the game. Like with the Agatha Christie hidden object games, there is an included map that will help you see where you are, select the scene you wish to investigate and see which area is finished. The murder hunt that is organized by Sir Stubbs will provide you with special clues to gess in some specific areas. These unlock other areas so that you’re able to investigate them in the next level. When you’re done with the game, you have another option that’s unlocked: “Find All”. This lets you see ALL areas to investigate without having to play on a level by level mode. Only watch if you’re struggling finding objects. Yes Miss Marple has also been awarded a computer game. The game is quite long and each level provides you with the option of guessing who’s the murderer. Mrs McGillicuddy is one of Miss Marple’s best friends. This Scotish lady saw a murder in the 4:50 from Paddington train that would drive her to Saint Mary Mead. However, she’s clueless in which area this murder happened. The only thing she knows is that it occured between Paddington station and Saint Mary Mead. However, there’s no mention of a dead body found in the train. Miss Marple doesn’t like deep mysteries and decides to find out the exact area the murder was committed as she suspects the body was thrown away from the train and should lie somewhere in the countryside. Because she suspects Rutherford Hall to be the place the body is located, she asks a young lady she knows to apply for the housekeeper job at Rutherford Hall. Both will investigate and find out what actually happened to the woman who was murdered and who is the murderer. The game starts at this point. Miss Marple is back on track ! She’s going to investigate a murder seen by a friend of hers. Getting help from a housekeeper she knows, she will find out who was the dead woman, who was the murderer and also where the body was hidden from sight. The game, once solved, can be played all at once or level by level. This hidden object game is a great one. I can assure you that you’ll spend a good time guessing the locations, then discovering the hidden objects as well as the murderer. At the end of the game, you’re given a virtual detective award. Want to inspire the whole family to help around the house? Or to establish for once and for all who actually does all the chores? A really fun PC game can help! This puzzle platformer game has taken over my life just recently. I finished it, then immediately began playing it all over again!